Flowers and chocolate are two of the most popular Valentines Day’s gifts, over 36 million heart shaped boxes of chocolates, and over 110 million roses are given on Valentine’s Day each year and greatly appreciated by the recipients, however wouldn’t it be nice to do something different this year? Refurbishing a favorite piece of jewelry or a watch that is in need of reapir or has just been retired to the jewelry box a few years ago because it is scratched and worn is a thoughtful gift for that someone special. A clean and polish service may be all it needs to look like new again. Valentine’s Day is also a big day for wedding proposals, it is estimated that over 6 million couples will become engaged on Valentine’s Day, and many of these proposals will be done with a family heirloom engagement ring. That family heirloom ring may need a little work before it is ready to passed to the next generation, a basic clean and polish service or possibly a ring sizing. 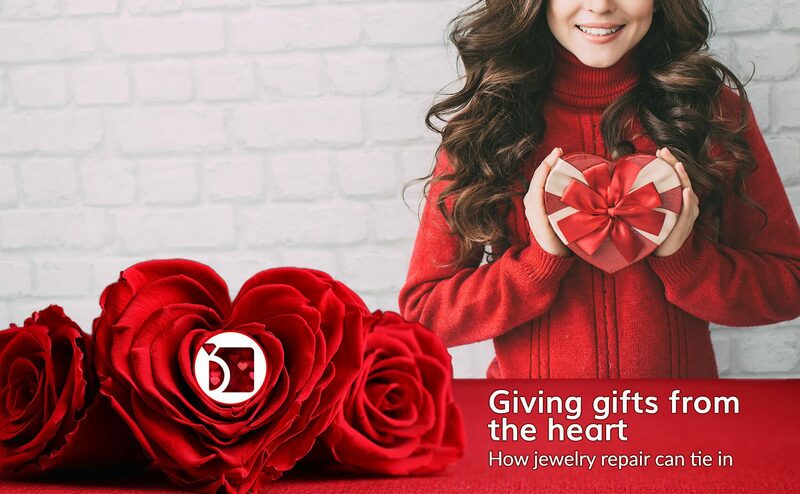 Whether it is an old favorite or a family heirloom My Jewelry Repair can perform all the services needed to make this Valentine’s Day a memorable one.